We are having a great summer sale on things like luggage and bag tags, Lucite ice buckets and trays, personalized calendars and padded stationery, stickers . 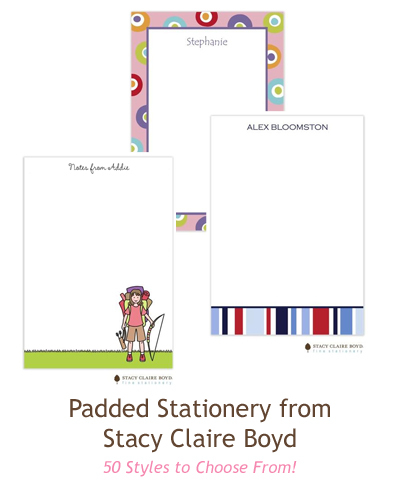 . . so many cute things to chose from our favorite lines like Stacy Claire Boyd, Picture Perfect, Boatman Geller and Prints Charming.